Happy Lawyers | Testimonials | How Awesome is Top Lawyers™? Turns Out We Are Pretty Amazing! 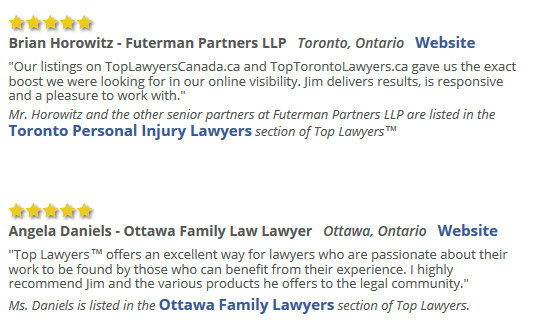 We pride ourselves on the performance and results our directory provides to the lawyers that list with us. I really appreciate those that have taken a moment from their busy schedules to write a testimonial about their positive experience with Top Lawyers™.